All of the above are common ways to describe typical injuries around the pool. And while there are often grains of truth in such statements, a narrow focus on the structural elements of injury inevitably ignores the psychosocial components in pain. 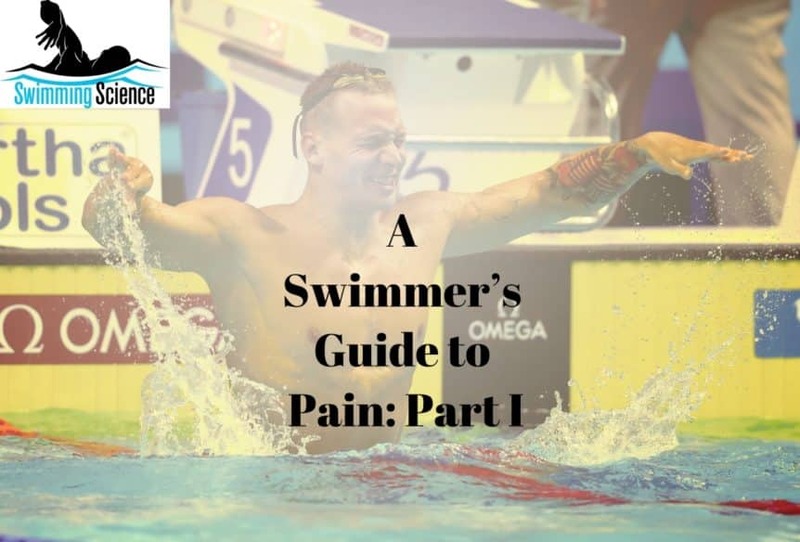 This is one area where coaches and parents can play a key role in talking to injured swimmers and reinforcing what contemporary medical professionals understand about pain science. Now, the purpose of this is not to dismiss the role of structure in causing pain. In fact, the extreme statement of “pain is all in your brain” is equally counterproductive to injury healing in athletes. Yes, certain pathologies are likely to induce pain, particularly when lesions occur in particular nervous system structures. However, what is unfortunate is that a misunderstanding of pain can thwart even the most carefully planned treatment and exercise regime. Quite simply, the feeling of pain is driven by the body’s perception of threat. We know that perception is key, not merely structural damage, as many studies have shown that pain-free subjects can have structural damage in similar rates to painful subjects, particularly for repetitive use conditions (trauma is a different story…). Recently, Finan (2013) compared knee osteoarthritis patients classified into “high” and “low” severity. Somewhat surprisingly, those with high severity damage experienced less pain than those with low severity damage, as those with less damage were actually found to have more pain! There are several reasons why this may be the case, but the take home point is that damage is not automatically linked to pain. As such, coaches and parents must not mislead swimmers with a narrow focus on the injury and instead shift the focus to more productive areas such as function, mobility, and progression. Many swimmers (and patients in general) are more comfortable with discrete explanations of structure. Unfortunately, a misunderstanding of the psychosocial elements of pain can often prolong the rehabilitation process as swimmers, coaches, and parents obsess about the structural elements of injury with laser focus! This commonly results in perpetuation of injury, creating a vicious cycle in which the swimmer is unable to successfully progress through rehab, despite best practices being employed via treatment and exercise. Ultimately, a proper understanding of pain can help guide swimmers back to function if injury strikes. If you are looking for more information on pain and injury at the shoulder, consider purchasing the Swimmer’s Shoulder System. Finan PH1, Buenaver LF, Bounds SC, Hussain S, Park RJ, Haque UJ, Campbell CM, Haythornthwaite JA, Edwards RR, Smith MT Discordance between pain and radiographic severity in knee osteoarthritis: findings from quantitative sensory testing of central sensitization. Arthritis Rheum. 2013 Feb;65(2):363-72. doi: 10.1002/art.34646. Written by Allan Phillips is a certified strength and conditioning specialist (CSCS) and owner of Pike Athletics.